With a turn of the knob, you can adjust the temperature of most heating devices! Plug in up to two compatible heat sources with a combined wattage of up to 150 watts! Turn your heaters down or back up depending on the ambient room temperature. 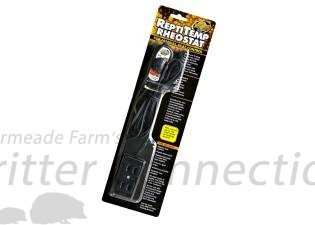 Compatible with Zoo Med heat emitters.